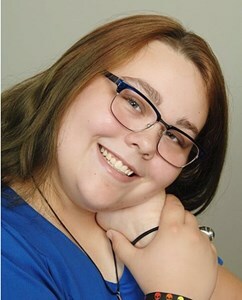 Newcomer Family Obituaries - Megan Amanda Donahue 1999 - 2019 - Newcomer Cremations, Funerals & Receptions. As she peacefully slept and with heavenly angels surrounding her, Megan Donahue, age 19, was called home on Friday, April 5, 2019. She was born December 20, 1999 to Todd and Suzanne (Cutshall) Donahue in Toledo. Megan was a graduate of Sylvania Northview High School in 2018. Megan was a happy, quiet child but loved adventure. Megan never shied away from anything except roller coasters. She enjoyed the outdoor life spending many special years at the campground around the pond and campfire with her family and friends. Megan was an animal lover. She loved fishing and monster truck races with her Dad. She took many exciting vacations over the years with her family. Megan attended St. Catherine of Siena grade school. Megan participated in CYO sports and was extremely successful. She loved basketball but excelled in volleyball and especially track where she earned many gold and silver medals in shot put and discus. She was currently enrolled at Owens Community College specializing in Computer Engineering. Megan worked third shift at Meijer’s on Alexis Road and loved her job and co-workers. She loved to write poetry and created her own art work pieces that had deep meaning to all who were lucky to receive them. Megan had her life together and was looking forward to a bright future. Megan was a very private person with a heart as big as the universe. Her smile was contagious and brought joy to everyone’s life she touched. God puts people in our lives for a reason and even though Megan’s life here on earth was too short, she made the most of it and made everyone around her feel special. Megan’s life is not over. She will remain in the hearts and minds of all who were blessed by her presence and her memory will continue to live on in all who knew and loved her. Megan is survived by her loving parents, Todd and Suzanne; sister, Sydney Donahue; grandparents, Susan “Mim” and William “Pip” Cutshall and William (Jan) Donahue; aunts and uncles, Christine Cole, Ryan (Gina) Cutshall, Jill (Randy) Johnson and Keith (Ann) Donahue; special coach and friend, Terri “Tearr Bear” Gailer; and many other extended family members and dear friends. She was preceded in death by her grandma, Judy Miller. The family will receive guests on Friday, April 12, 2019 from 5 – 9:00 p.m. at Newcomer – Northwest Chapel, 4150 W. Laskey Rd., Toledo (419-473-0300) with Scripture Services to begin the visitation at 5:00 p.m. in the funeral home. A Funeral Mass will take place Saturday, April 13, 2019 at 11:00 a.m. at St. Catherine of Siena Parish, 4555 North Haven Ave., Toledo, OH 43612 with visitation one hour prior in the back of church. Those wishing to make memorial contributions are asked to consider the Toledo Humane Society or a charity of the donor’s choice. To share a memory of Megan or to leave a special message for her family, please click the "Share Memories" tab above. Add your memories to the guest book of Megan Donahue. There are no words to describe how much Megan meant to me. I grew up with her. I found myself a fixture at the Donahue house and she mine. The very first memory I have with her is my mom dropping me off at her house so Todd could take me to school. In the van kindergarten megan, me, and Collin shoved in the back along with syd and Cody. From that day on we were inseparable. We had epic sword fights, went fishing in the bed of my dads truck, and rode our bikes for hours. We even tried to start our own painting business, she drew it I painted it. I have our sample piece hanging in my room still, and I know we spent a long time making our own business cards. There was nothing we couldn’t do really. Megan was my friend when others walked away, we never got in fights and were always there for each other. As we got into highschool we found ourselves more different then alike but never hated each other for it. We made a pact to support each other from a far and we stuck to that. I always wanted the best for her and was happy to see all the wonderful things she did. I write this now as some time has passed, I have healed some and hurt still. I will always miss Megan but carry a piece of her each day. Megan was my History student in 8th grade. I remember her smile and the fact that she was one of the few students who would routinely laugh at my jokes. Bless her for her positive attitude. She was best friends with Emily, Laura, and Lauren and I loved watching them grow up together. Megan will be missed by all of the friends and family left behind. Many prayers directed at the Donahue family. Megan I am at a loss for words! To those you leave behind-mom, dad, sister and many others I know there is no suffering where you are. I think of all the fun memories when we were at the campground. I have learned today how you loved the campground and what it meant to you! I wish I got to read this before and could tell you how amazing your writing skills are! It has been almost 10 years and when I read it it came back so vividly-all of it the smells of campfire, the warmth, water, fishing, the dry crips air.oh I could go on, but not nearly as well as you described it! Just how you explained it! Thank you! I know your family has sooo many memories and everyone will continue to hold you close in their hearts!! Keep smiling kido you are beautiful! We are so incredibly sorry for your loss. May you find strength and comfort in the love and support of family and friends. Please know that our sincerest sympathies and most heartfelt prayers are with you during this incredibly difficult time. God Bless. My heart goes out to Megan's family. She has left us too soon. I was her eighth grade English teacher at NDA and I have very fond memories of having Megan in class. She was so sweet and quiet, but also smart and funny. I am saddened to hear of her passing. My prayers are with her family. I don't know what to say other than your life was cut too short. You will be missed by those of us left behind on earth. Our hearts will ache, even though we know you will be with Jesus the angels in heaven. I will miss seeing you with your mom on Saturdays after church at Henry's. Please ask Jesus to give your Mom, Dad, and sister extra strength to survive your loss. Sydney, Know that Nancy, Me, Maya & Tori have our heart's broken over your sister's passing, even though we only live a few block's away from each other, and have not seen each other for sometime, we have always talked about you, Megan and your dad driving by in Old Blue honking and waving!! You guys always put a smile on our faces and that picture will never leave us! and you can bet Megan will always be sitting beside You in Old Blue. Please remember all the good times you guys have had together and will again, Forever in heaven! Because that's wear Megan Is, And you your mom and dad will all be someday! Together Again Smiling and Waving!! We love you guys! SSS, I went to public school in Oak Harbor. I was so sorry to hear about Megan’s passing. She was such a fun girl to teach. I will always remember her great smile and big laugh. She was a sweetheart. To Sydney, Suzanne, and Todd...there are no words. Please know you are all in my prayers. I just heard the very sad news today and I'm at a loss for words. Megan was always a bright spot to my days working in the St. Catherine school office. She made me laugh without even trying. Suzanne and Todd, please know Mark & I are sending our thoughts and prayers for you and your family. I didn't know her well but we partnered up in some classes that we took together at Owens. She was really funny and made me enjoy the long lectures and labs. Where ever she is I'm sure she is living it up and making the best of it. I'm sorry to the family, she was truly one of a kind. Rest peacefully baby girl! Much Love, Peace and Comfort to you Suzanne, Todd and Sydney. We love you. Suzanne and family. My heart aches for you. So sorry to hear about your daughter Megan. Suzanne I retired from Lynn Olman's if you don’t recognize the last name. God bless you and carry you through this tragedy. Todd, Suzanne & Sydney you have my deepest sympathy. Megan was a true gem. I loved having her in my Girl Scout troop and she was such a close, dear friend to Emily during their grade school years. I have many memories of the girls playing outside, painting, making videos for school projects and just having fun. All the years they played on sports teams together and many UT games sitting courtside. The trips to Chicago and Cleveland with the Girl Scouts was so much fun. And when they were in 8th grade I will never forget Megan's willingness to help out Emily through New York when the school would not allow her access to a wheelchair. Megan sat with Emily when she needed to rest and was willing to piggy back her around New York if need be. Megan had the best laugh and loved to have fun. Megan knew who she was and stayed true to that all along. I continue to pray for your strength, peace and comfort. Know that you are surrounded by love. Me and Megan haven’t talked in a long time but growing up she was one of my best friends. I loved staying the night and hanging out all the time in the summer when we were younger. Even though we have grown apart throughout the years I will always love herald she will always be my friend. I am heartbroken I couldn’t be at the funeral and I wish all her family the best in these hard times. You will be missed Megan. I am so very sorry for your sudden loss, my thoughts and prayers are with your family during this most difficult time. Megan you were one true friend to my Jenna. From the first day of kindergarten you both were glued to each other and it continued from elementary school, high school and now were both attending the same college. As a mother the biggest joy is watching your child laugh and the way you both belly laughed together just showed that you both had a special bond. I remember how much you liked to experiment together from making pancakes, doing the cinnamon challenge, creating your very own 3ft pool in my back yard, playing in the treehouse, starting your own lawn company ( I think Jenna still has the t-shirts we made for your company) and I am sure many more things that I do not know about ?? When you both were quiet together that is when I knew I needed to see what you were up to because more than likely you both were up to something haha. I enjoyed watching you grow into the intelligent big hearted woman that you are today. Whenever I needed help you would drop anything to help me. Our last conversation that we had you blew me away with how focused you were in making your life a successful one. As hard as it is to understand why God took someone so young and full of life I know you are in heaven making all the angels laugh especially with your facial expressions. Todd, Suzanne and Sydney we will continue to pray for your family, our door will always be open to you when you need it. We will forever remember Megan for her witty personality and her love of her friends and family. Oh Suzanne and Sydney, this breaks my heart. I loved Megan, she worked so hard to keep school together even though she wasn't a fan of the 8-3 routine. Megan was a beautiful soul and was so sensitive to the world around her. I loved her laugh because it was so contagious to everyone around her. Megan preferred to not stand out at school and would always be low key. I had the pleasure of working with both girls and boy were they different. For Megan's quiet demeanor, Sydney was a force of nature. I think what struck me the most about those two was their incredible sister bond. They would do anything for one another. To Megan's family, there isn't a lot I can say to make this better, but know that Megan was loved. I was so blessed to have Megan in my life for 10 years. Her and I spent many wonderful times together and she truly brought more joy to my life than I could have ever imagined. I was her coach in basketball, volleyball and track. I was so proud of her and her accomplishments. We shared many trips to Dave & Buster's just spending quality time together along with going to many sporting events especially the NCAA Women's Final Four in 2018 where Notre Dame won the National Championship. Could not have imagined sharing that with anyone but Megan. She brought the kid out in me again and again. Our funny joke together was that when I grew old, she would take care of me by pushing me down the hill in my wheelchair...now that is real love. To Todd and Suzanne..you brought one incredible girl and beautiful soul into this world and I thank you from the bottom of my heart for letting me share her with you both. She was like the daughter I never had and my life was forever changed by Meggie's presence in it. It will never be the same for me. She has taken a piece of my heart that no one will ever fill again. I will always love and cherish you Megan. "Terr Bear"